This process is never simple. There are many criteria by which conductors select repertoire: vocal abilities of the ensemble, musical difficulties present in the score, educational purposes that will allow the musical abilities of the group to develop, length of the work, thematic ideas in the program (including perhaps the presence of many different periods and styles, or a theme reflected in the texts of all works), the overall flow of the program using contrasts (slow vs. up-tempo, sad vs. happy, a cappella vs. accompanied, etc. ), length of the set, acoustical considerations of the venue, personal taste, and even the make-up of the audience. However, all of these criteria aforementioned are subject to one common reality: the conductor needs to have a large group of works from which to select appropriately. The more works we become acquainted with, the larger our personal “choral library” becomes, and thus our selections are made from a richer and wider source. In other words, every conductor should eagerly search for opportunities to get to know more repertoire, because it allows the conductor to choose from a larger collection. The purpose of this article is to offer our readers the possibility of becoming acquainted with an assortment of published works; in this case, specifically originating from Latin America and the Caribbean, and written for treble ensembles. Argentina is one of the countries that has produced most choral music for treble choirs in Latin America. The most important catalog is held by Ediciones GCC (www.gcc.org.ar). They have over 55 arrangements of folk songs from all over Latin America specifically written for treble voices by some of the most outstanding composers of the nation. Additionally, their catalog of original compositions for such ensembles is very rich and offers music of various levels. Some of my favorite works have been written by Antonio Russo (Canción de las Siete Doncellas, Venite Exultemus Domino, Canto al Sol, and Cuatro Canciones para Niños). Russo has the ability of writing music of many different levels of difficulty. Marcelo Valva’s Pedronianas and Dante Andreo’s Cuatro Alondras are beautiful four-song suites that are not too challenging and capture the regional flavor. Recently GCC has published award-winning original works by María Paula Gómez, Oscar Llobet, and Federico Neimark. In the US, Neil A. Kjos Music Company (www.kjos.com) has published some titles for treble voices in their Latin American Series edited by Oscar Escalada. Libertango and Guachi Torito are two of Escalada’s most popular arrangements. Another important nation with an significant output of choral music is Venezuela. Here, composer Alberto Grau has dedicated immense efforts to create a new and extensive catalog of works for treble choirs of diverse levels of difficulty. 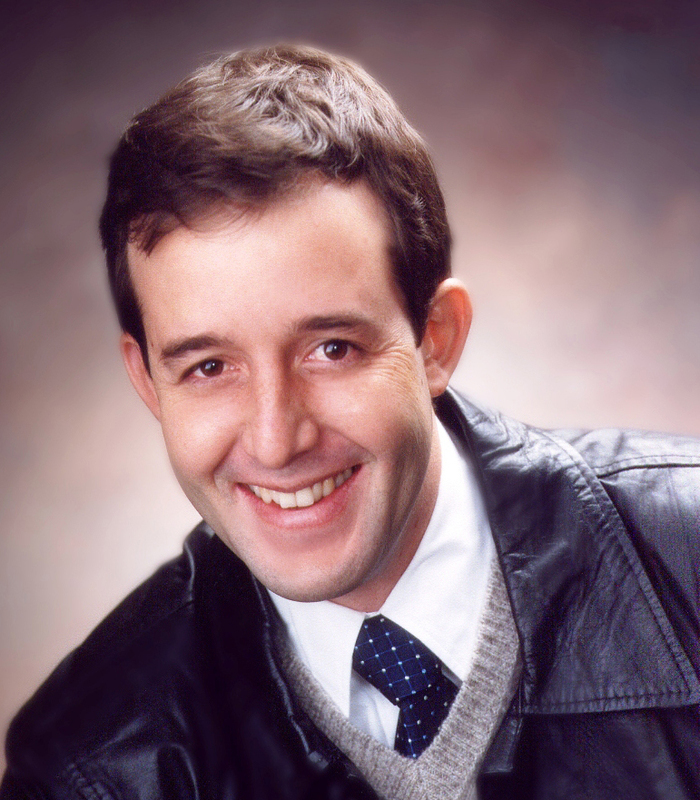 His works are published by GGM Ediciones (http://alberto.fundacionscholacantorum.org.ve/Obras) and distributed by Earthsongs (www.earthsongschoralmusic.com). Among his numerous arrangements and compositions for treble voices, I would recommend Cruje-Silba; Como Compongo Poco, Yo ‘Toy Loco; Rumex Crispus; Kasar Mie La Gaji (ssaa version); A un Panal de Rica Miel; La Flor de la Miel; La Balada del Retorno with orchestral accompaniment, and his complex and energetic Como Tú. He has also published three important suites: Opereta Ecológica en Cuatro Actos, Los Duendes, and El San Pedro. 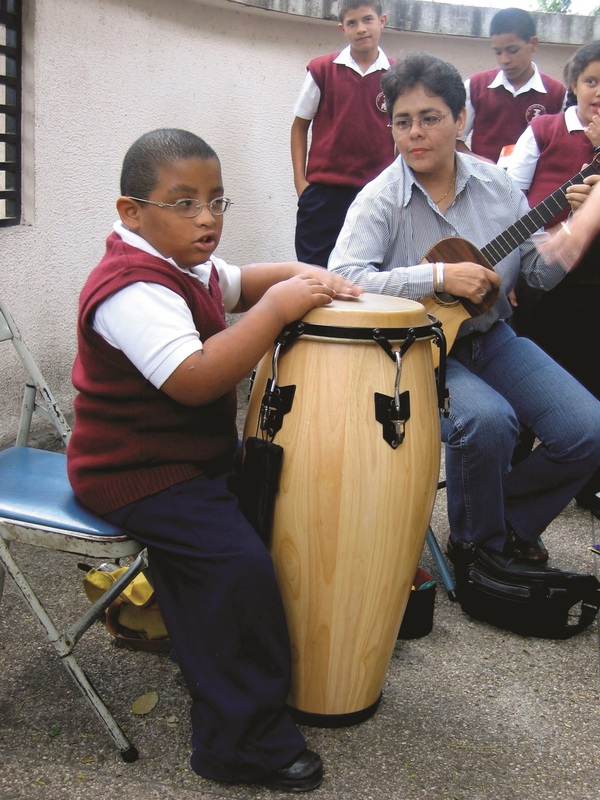 Additionally, his compositions based on texts by Jesús Rosas Marcano are particularly appropriate for children’s choirs. Finally, the French publishing house Editions A Coeur Joie (http://edacj.musicanet.org) published Pata Pa´ca, which was a collaboration between Alberto Grau and Cristian Grases. Grases has published some popular arrangements through Earthsongs (María Pancha and Los Dos Gavilanes), Walton Publications (www.waltonmusic.com/index.php) (La Paloma), and Pavane Publishing (www.pavanepublishing.com) (Canto de Pilón); and has recently created a Latin American Series with Gentry Publications (http://gentrypublications.com) in which his fun Tottoyo is included. Other important Venezuelan works are included in María Guinand’s Latin American series with Earthsongs. Some of the most important are Mata del Anima Sola by Antonio Estévez, Duerme Negrito by Emilio Solé, and El Romantón by Francisco Muro and arranged by Miguel Astor. Finally I want to take advantage of this opportunity to mention the large and important catalog of arrangements and compositions for children’s choruses by Modesta Bor, which unfortunately has not been published yet. Brasil is a nation of many treble choirs and a long choral tradition. Heitor Villa-Lobos’ As Costureiras, one of the classic Brasilian works for treble voices, is published by G. Schirmer (www.schirmer.com). Ernani Aguiar’s Sine Nomine et Sine Sensu and Salmo 150 are great selections for more advanced ensembles and are published by Earthsongs, which also has Carlos Alberto Pinto Fonseca’s lovely arrangement of Muie Rendera. Also, Santa Barbara Music Publishing (www.sbmp.com) has J. Edmund Hughes’ arrangement of Eu e Voce. Finally I would like to mention composer Eduardo Lakschevitz who works in Rio de Janeiro and has numerous arrangements. One of his most popular (and unfortunately yet unpublished) tunes is Sambalele. 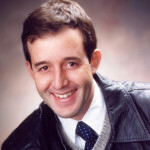 On the Pacific coast, Colombia’s Julián Gómez Giraldo has published some of his works through Hal Leonard (www.halleonard.com). Maquerule, Maximina, Juego a Que Me Quemo, and A Belén Pastores are all great fun and filled with the dance-like spirit of the Caribbean. Speaking of the Caribbean, Larry Farrow’s Jamaican Market Place (Gentry Publications) remains a classic and beloved West Indies song. Boosey & Hawkes (www.boosey.com) published Chanflín and the catchy El Pambiche Lento by Tony Guzmán from the Dominican Republic, and also some of the works by Francisco Nuñez—originally from Puerto Rico— such as Misa Pequeña Para Niños, Cantan, and Four Spanish Lullabies. Haiti’s young composer Sidney Guillaume has been very active in recent years, and he has seven works for treble choirs of which Koudjay, Plakatap, and La Providence stand out. 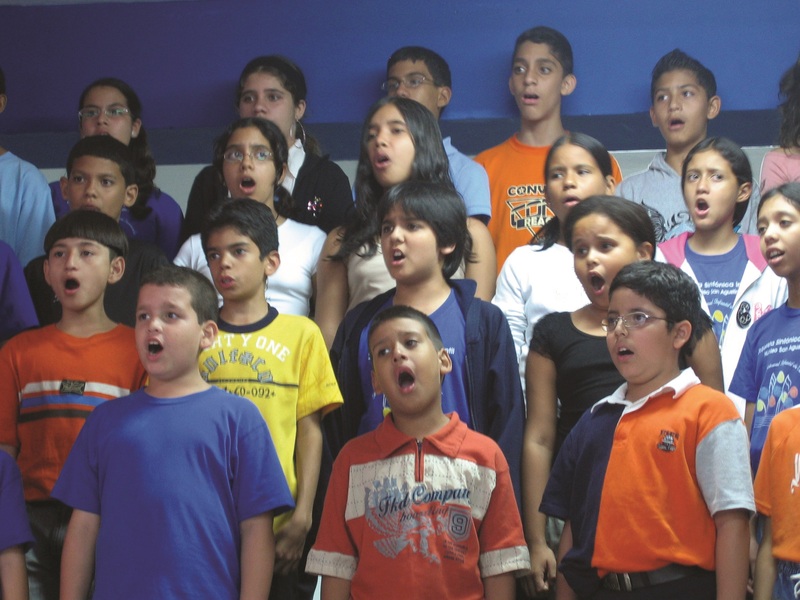 Finally, Cuba has a very active choral movement and has a very important choral output written by some of the finest composers in Latin America. Unfortunately, access to such works is very limited. The only publications I know of are Eleco Silva’s Cinq Chansons Folkloriques D’Guadeloupe edited by Kjos, and Carlos Abril’s arrangements of El Mambi and Ogguere published by World Music Press (www.worldmusicpress.com). 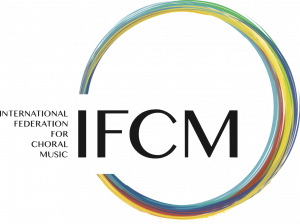 With time I believe that the choral community will have ever more access to quality repertoire from Latin America and the Caribbean. In the meantime, I hope this list provides the reader with new resources and titles that can enrich their programming in years to come.